MT. 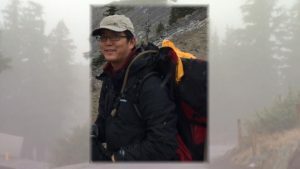 HOOD, Ore. (KGW) – A search and rescue operation is underway for a hiker last seen Monday on Oregon’s Mount Hood. David Yaghmourian of Phoenix, Arizona, was hiking the Timberline Trail with a friend when he became tired and stopped to rest about a mile away from the Timberline Lodge. Yaghmourian, 30, told his companion they would meet at the lodge, but he never arrived as planned.